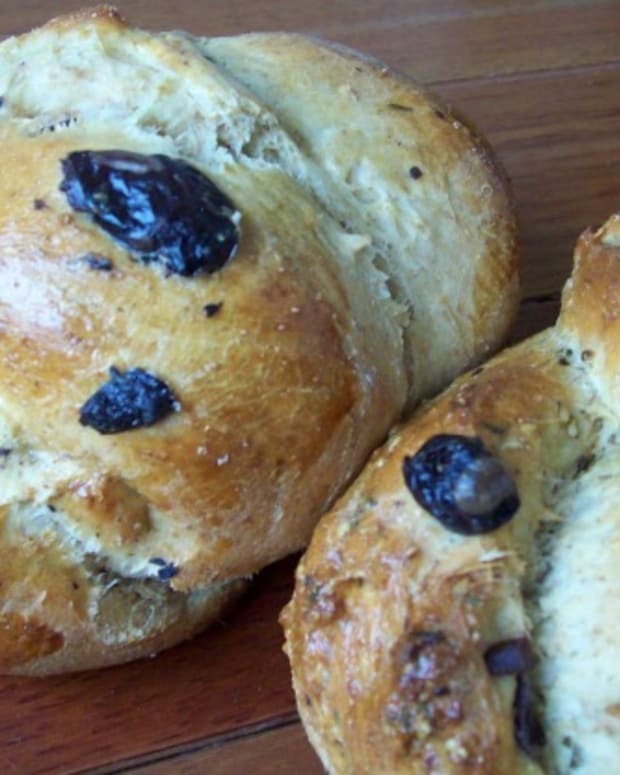 I think this recipe appealed to me mostly because I found it late one Thursday night when I was feeling lazy – too lazy even for no-knead challah dough. It combines a lot of elements I love, but I will warn you right away: this is a LAZY recipe on Thursday night, but you’ll make up for it with extra effort on Friday. This recipe yields a very soft dough, which, if you’re as unfamiliar with soft doughs as I was, could be a scary thing. 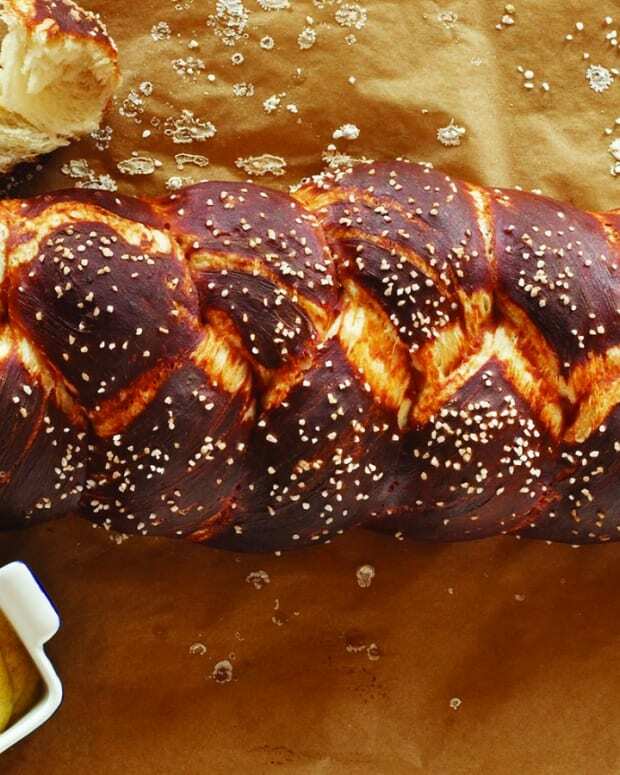 This is NOT a recipe to use if you’re making challah with your kids. The first few times, you may need a bench scraper handy – everyone tells you to use extra flour to prevent sticking, but the moister your dough, the better, and flour dries things up fast. 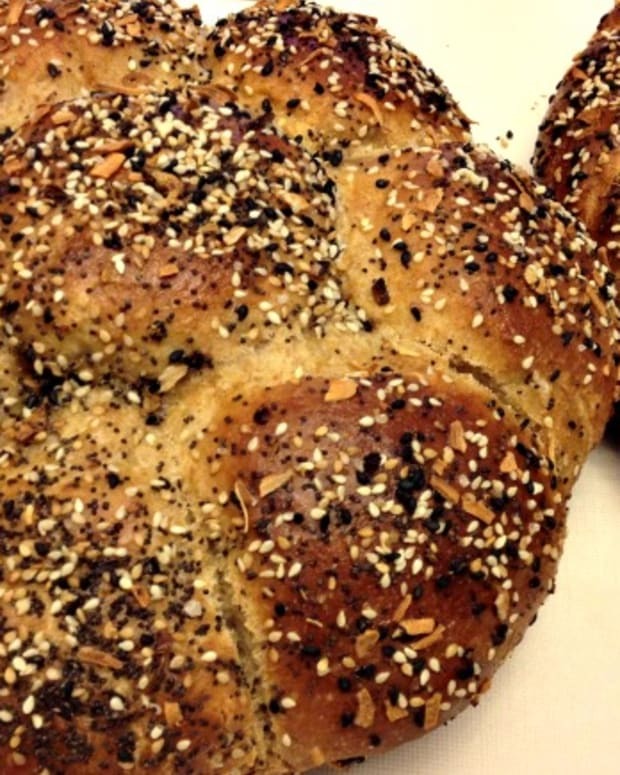 The payoff for the extra potchke on Friday (or whenever you make your challahs) is a challah that is soft and sweet like cake, almost un-cuttable but eminently eat-able. At least my family thinks so. Digital thermometer - saves the heartbreak of under- or over-done challahs! Measure the 4 cups of flour into a large bowl or dough bucket and set aside. 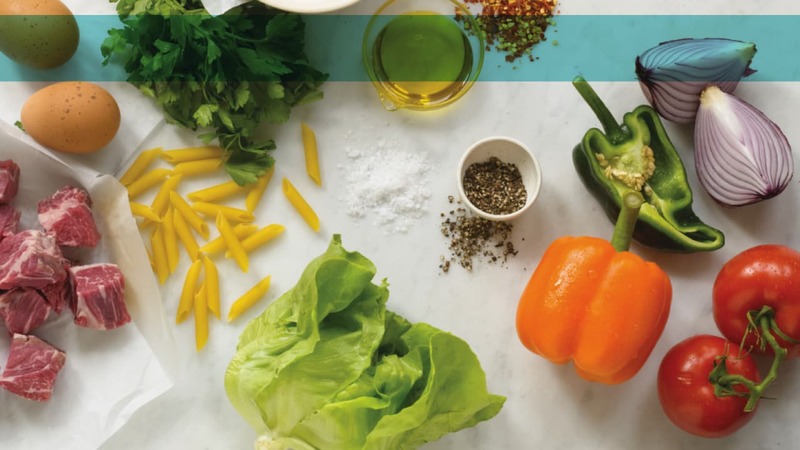 In a blender (or food processor) combine the next 6 ingredients, flour through eggs. Mix until creamy and smooth. Pour blender mixture over flour in bucket. Stir well with Danish dough whisk or wooden spoon until no dry patches remain. If it’s hard to mix, wait 10 minutes and mix again; it should be looser and easier to combine now. Your mixture will be “shaggy” and rough-looking, not at all like a smooth dough. Cover bucket loosely (not airtight; it can explode) and let stand for 8 hours. If you’re uncomfortable leaving raw egg at room temperature, let stand 2 hours, then refrigerate 8-10 hours. Flour a table or counter surface thinly. Dump entire bucket or bowl of dough onto surface. Don’t punch it down! Flip dough over gently and press it, with floured hands, into a roughly rectangular shape. Fold it in 1/3’s, as you would fold a letter to put it in an envelope. Turn the folded challah 90 degrees and press into a rectangle the other way. Fold it in 1/3’s in the other direction. Drop it back in the bucket and let rest for another 45 minutes to 1 hour. These steps may be repeated once for an even better texture. Cut remaining dough into equal portions to prepare for braiding. 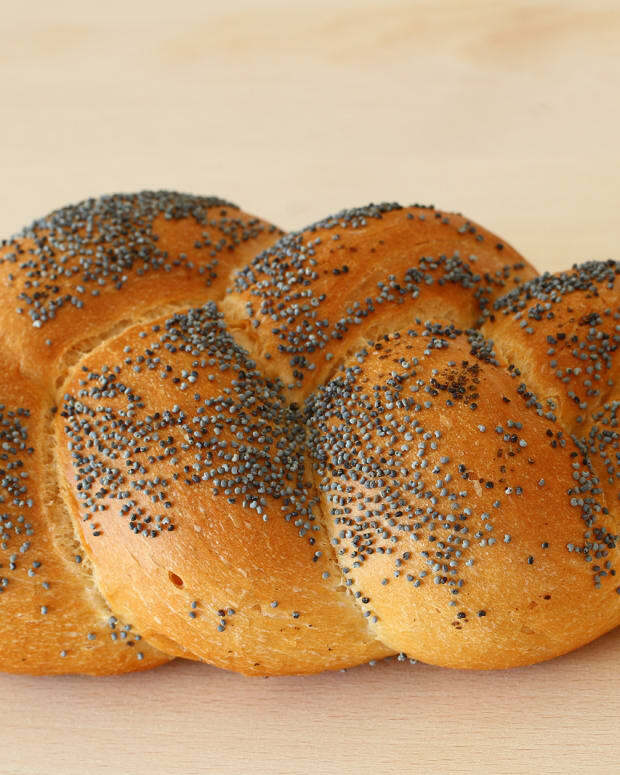 I make 4-braid challahs of 680g, so I use eight 170g pieces, then divide the leftover into 3 or 4 to make a mini-challah. Dip portions in oil to prevent sticking and form into ball shapes. Roll ball shapes gently with a rolling pin to flatten slightly. Flip ball shapes and roll again to flatten more. Roll each “pancake” up, sleeping-bag style, into a chunky strand. Roll out each chunky strand to the desired length, pinching the ends closed in the process. Braid strands as desired. If using a flat baking sheet, cover first with parchment paper or silicone pan liner. 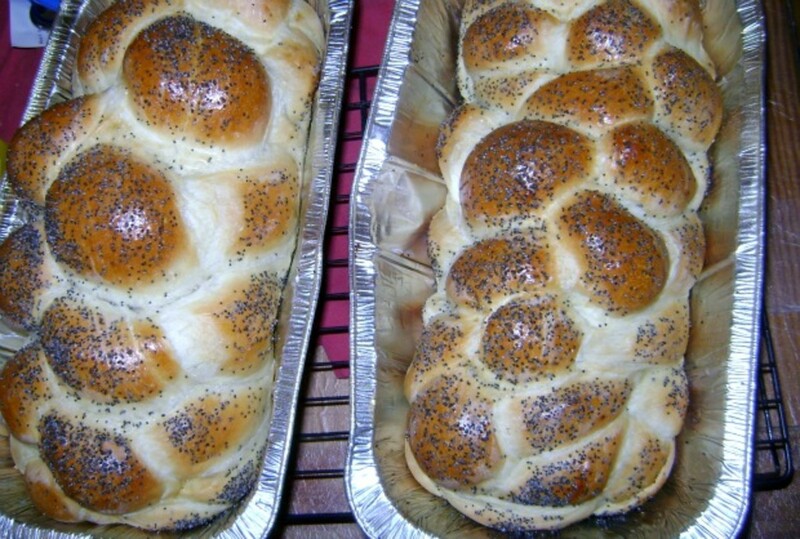 Spray challah with oil and cover loosely with plastic wrap. 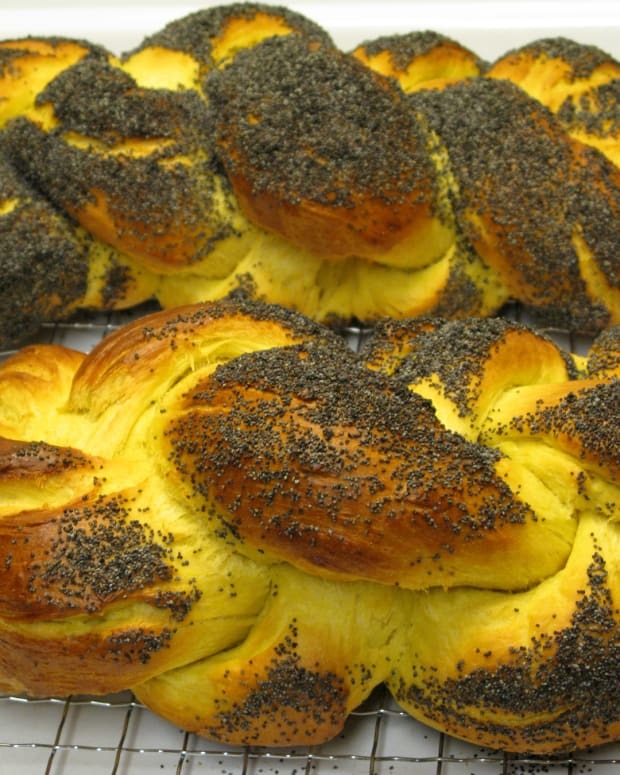 Let rise 1 hour – challah might be very loose; be careful not to deflate it. Brush with beaten egg and sprinkle with poppy, sesame, streusel or your choice of toppings. Bake at 350° for 30-40 minutes (remove mini-challahs or rolls after about 20 minutes), rotating pans halfway through bake time for evenness. If possible, insert digital thermometer into the bottom of a loaf (or between the braids where the hole won’t show). Temperature should be at or above 190°. Tips: This recipe scales up or down nicely (except the eggs). Whole-wheat or whole-spelt flour may be substituted for up to 1/3 of the total flour without negatively affecting the end result. If mixing flours, combine well when dry, before adding to recipe, to avoid streaks in dough. While either sugar or honey may be used, honey is wetter: stick with sugar until you’re very comfortable working with a very soft, wet dough.